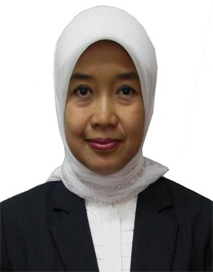 Ms. Yunita Resmi Sari has over 20 years of experience in the Central Bank and her field of expertise ranges from SME development, banking research and regulation as well as macroprudential policy and surveillance. Currently, Ms. Sari is the Director at the SME Development Department, Bank Indonesia. Ms. Sari coordinates formulation of Bank Indonesia’s policy and regulation as well as programs for SME Development which are implemented at all Bank Indonesia’s Representative Offices. Ms. Sari is also active in various international forums. She was the co-chair of Alliance for Financial Inclusion SME Finance Working Group (AFI SMEFWG) in 2014-2015 and chair of AFI SMEFWG in 2016. Ms. Sari is also active in several international forums which discuss SME development and financial inclusion, such as APRACA, APEC, ASEAN, G-20, and OECD. Ms. Sari holds a Master’s Degree in Business Administration from the University of Melbourne, Australia.